Ships tomorrow if you order in the next 23 hours 50 minutes. When it comes to hydrating sports drinks, you probably hear a lot about electrolytes - but what exactly are they? Electrolytes are actually minerals found in your blood and other fluids inside your body. They deliver an electrical charge that helps regulate muscle function and impacts the amount of water in your body. Our bodies do not make minerals, and sadly, much of the food in our modern diet lacks the trace minerals we need. That's why an electrolyte drink can be a big health boost. 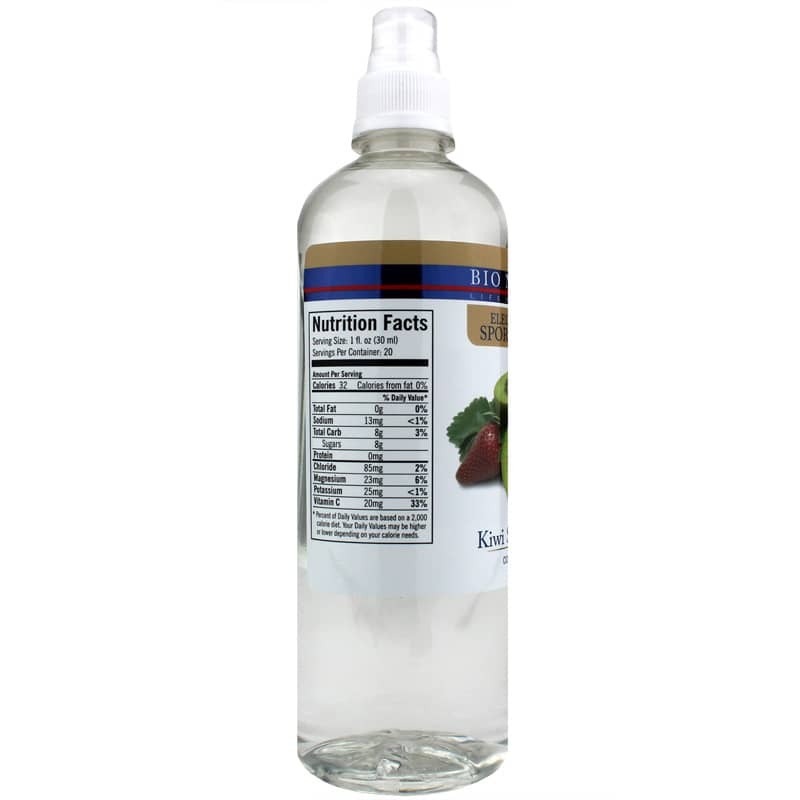 Bio Nativus offers its Electrolyte Sports Drink Concentrate in a tasty kiwi-strawberry flavor. Inside you'll find a unique Trace Mineral Drop Complex, which contains dozens of naturally-occurring ionic minerals harvested from the Great Salt Lake in Utah. Just mix one ounce of the concentrate with 7 ounces of water for a refreshing drink that keeps you hydrated before, during and after intense exercise. You can also mix up an entire gallon at once. You don't want to get dehydrated when you work out, and you're also losing electrolytes when you sweat. That's why a sports drink like this can be so valuable. It replaces those important trace minerals to help keep you in the game! But the Electrolyte Sports Drink Concentrate from Bio Nativus can come in handy for other reasons too. It may be useful for anyone in need of filling mineral nutrient gaps such as children or elderly individuals who may have trouble swallowing mineral supplements. 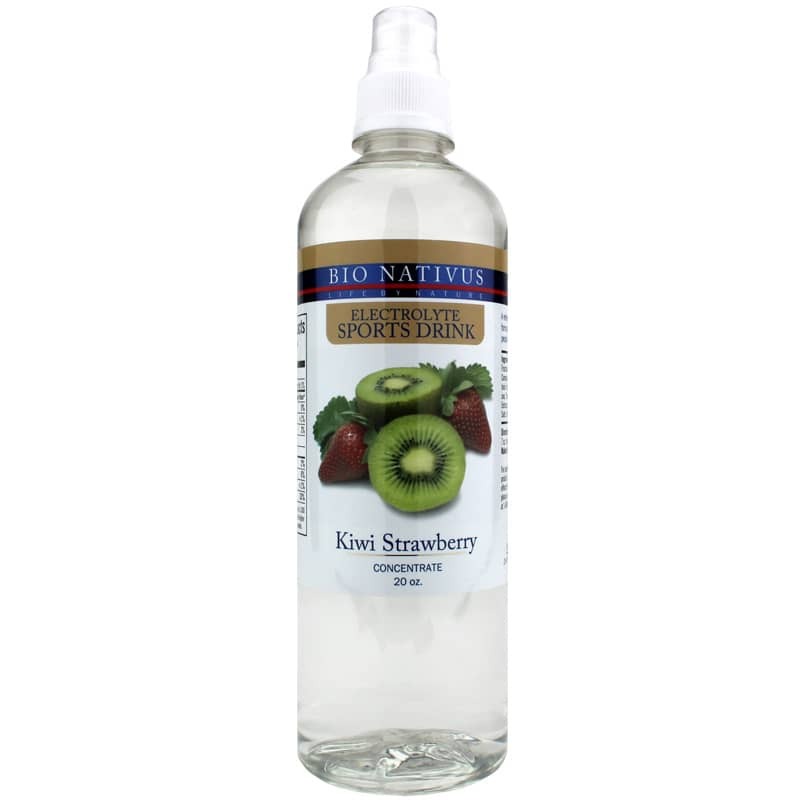 Get some Kiwi Strawberry Electrolyte Sports Drink Concentrate from Bio Nativus right now! 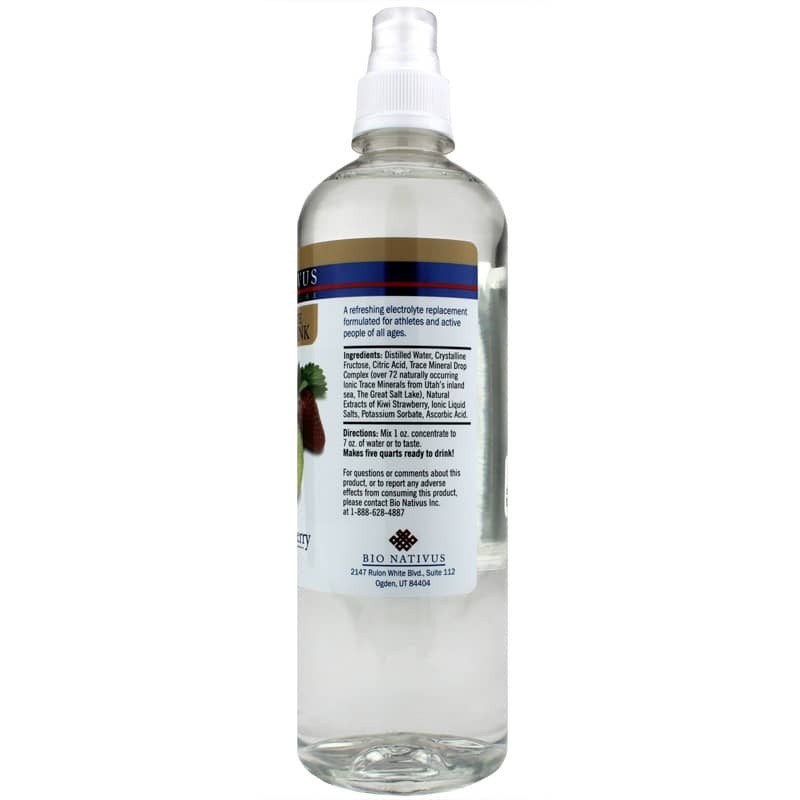 Ingredients: distilled water, crystalline fructose, citric acid, Trace Mineral Drop Complex (over 72 naturally occurring ionic trace minerals from Utahs inland sea, The Great Salt Lake), natural extracts of kiwi strawberry, ionic liquid salts, potassium sorbate, ascorbic acid. Mix 1 oz. concentrate to 7 oz. of water to taste. Makes five quarts ready to drink. My family loves this concentrate. We put a little in water and receive all the benefits of the trace minerals which is healthier than Gatorade, imo! This is also our alternative to juice.